WHEN YOU COMMISSION A BANJO FROM US YOU HAVE THE CHOICE TO SPECIFY YOUR OWN TONE RING OR TALK TO US ABOUT THE KIND OF SOUND YOU WANT AND WE'LL WORK TOGETHER TO GIVE YOU THE BEST INSTRUMENT FOR YOU. BANJOS ARE COMPLEX INSTRUMENTS AND COME IN MANY FORMS AND TYPES OF CONSTRUCTION. DIFFERENT CONSTRUCTIONS COMBINED WITH DIFFERENT TONE RINGS PRODUCE DIFFERENT SOUNDS. BELOW ARE SOME OF THE TONE RINGS USED IN OUR BANJOS. THEY ARE ALL MADE IN AMERICA AND VARY IN PRICE FROM THE CHEAPEST AT $200 APPROX TO THE MOST EXPENSIVE AT $1500 APPROX. THIS VARIATION IN PRICE IS ONE OF THE MAIN FACTORS AFFECTING THE PRICE OF OUR BANJOS. 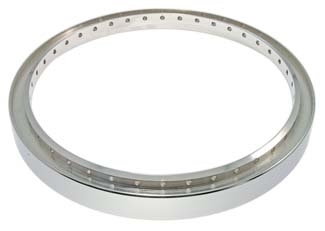 This type of tone ring is the most common tone ring used in our tenor banjos and customers love the traditional powerful and crisp sound produced. They are usually the most suitable tone ring for Irish tenor banjo music. This is the most expensive tone ring in the world at $1500. It is not Mass Produced and is available only in very limited quantities. Available from us fitted to your new Emerald banjo. 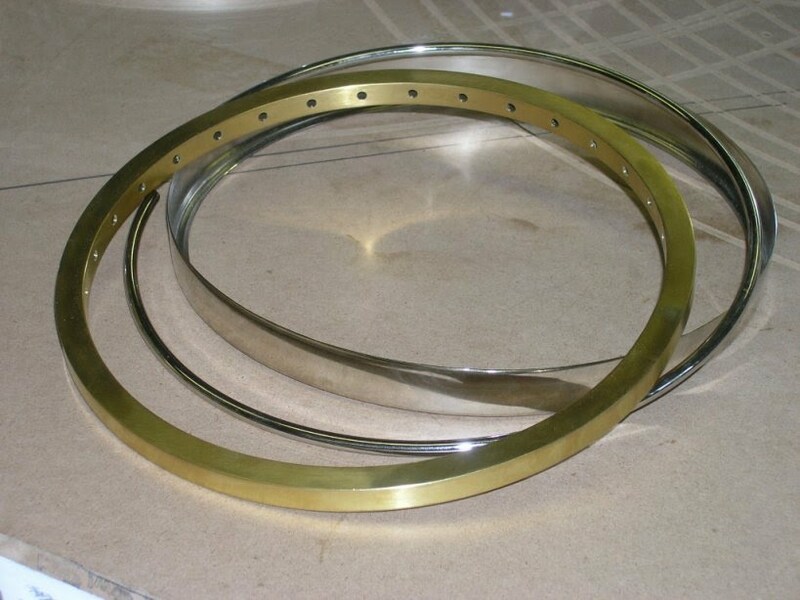 However, waiting time for one of these tone rings can be up to 6 months and we cannot make the rim until we have the tone ring in our hands. This is a top quality tone ring as used in our BLAK EMERALD solid ebony tenor banjo, the only one of its kind in the world. It is not Mass Produced and waiting time for one of these tone rings can be up to 3 months. But well worth the wait. We only fit this tone ring to our BLAK EMERALD. 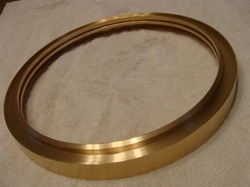 This type of tone ring is one of the most common tone rings used in our tenor banjos. It has a traditional powerful and crisp soundand perfect for Irish tenor banjo music. 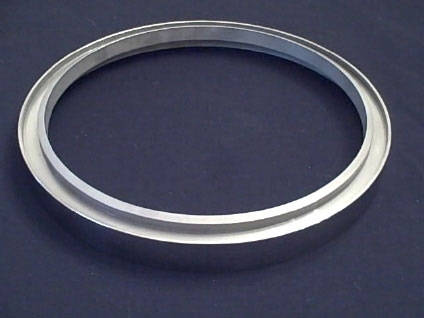 This type of tone ring is rare and difficult to obtain but produces a very distinctive sound. We use it only in our EMERALD OGHAM tenor banjo for the traditional bright sound quality it produces similar to that of a 1930's quality banjo. This pre war type of tone ring is the most common tone ring used in our open back tenor and 5 string banjos banjos for the mellow "old tyme" sound produced.